Chickens are well known for their ability to finish off table scraps, their love for bread crusts, and their tendency to eat everything from Styrofoam to grain. Yet, table scraps alone are not enough and can sometimes be dangerous. In order to produce eggs or meat, chickens need a nutrient-rich diet. Not all chicken feed is created equal, and the type of feed you provide depends on whether you are raising your poultry for eggs or for meat, their age, and to some extent their breed. 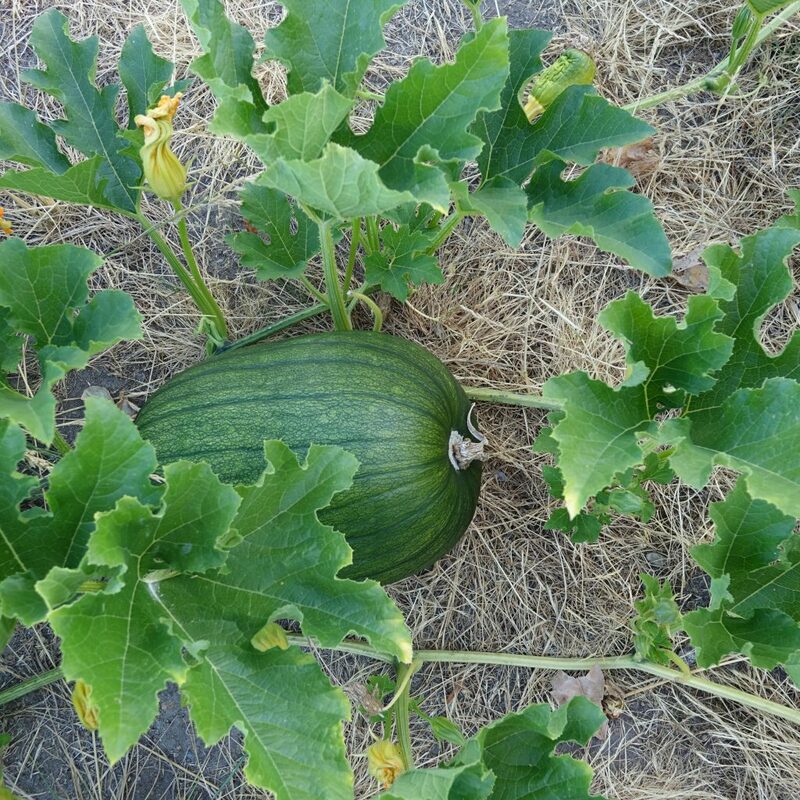 Resist the urge to dump all your table scraps into your chicken coop, keep a lookout for dangerous food items or garbage in your hen’s living area, and feed your birds a well-balanced diet so that they’ll live long, productive lives. 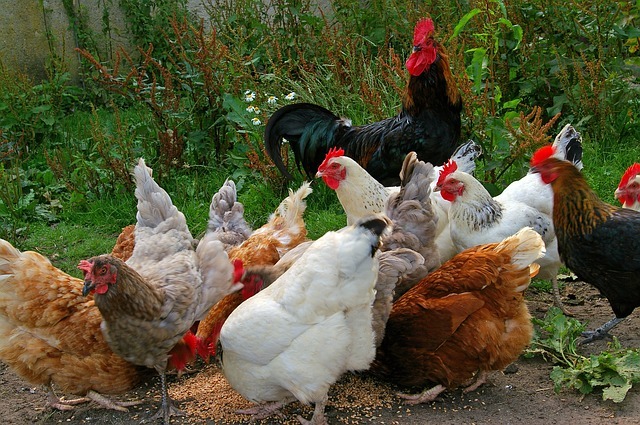 When looking for the perfect chicken feed, keep in mind that it should contain protein, calcium, and phosphorus. A young broiler (meat chicken) needs feed with 23% protein, 0.9% calcium, and 0.5% phosphorus while an older broiler (6 weeks to finish) requires 10% protein, 0.8% calcium, and 0.5% phosphorus. [i] The requirements for broilers are different than the requirements for layers. Do your research and make sure that your feed fits the needs of your chickens based on their purpose, breed, and age. No matter the brand, compare ingredient lists. What is the feed made of? 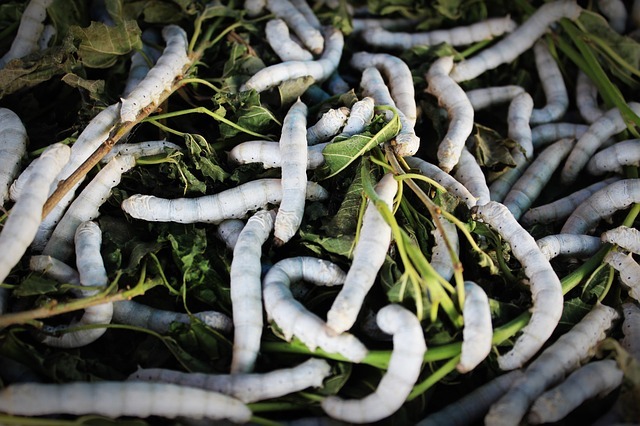 How much protein, minerals, grit, vitamins, carbohydrates, and calcium are in the feed? Just as human food is available in a vast array of qualities and quantities, chicken feed varies too. Farm supply stores stock a variety of ready-to-use chicken feeds from brands such as Poulin Grain, Purina, High Flyer Layena, Kent, Evergreen, and Blue Seal. Local feed mills sell their own mixes at a reasonable rate, too. It’s also possible to feed your chickens without store-bought feed. Plan ahead so that all of your chicken’s nutritional needs are met. For protein, chickens enjoy earthworms, alfalfa, duckweed, and comfrey. Carbohydrates are important too, especially for layers, and chickens like eating a variety of carbohydrate-rich foods: vegetable seeds, wheat, oats, rice barley, and more. Stale bread and grain are also good sources of carbohydrates. 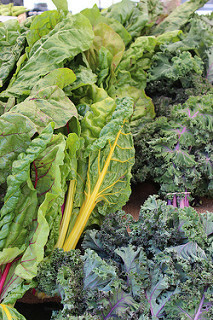 Herbs and vegetables are good for calcium. Feeding chickens is an imprecise art, because how much they eat depends on a wide variety of factors. Chickens eat more in cold weather than in hot weather and even different amounts depending upon the breed. 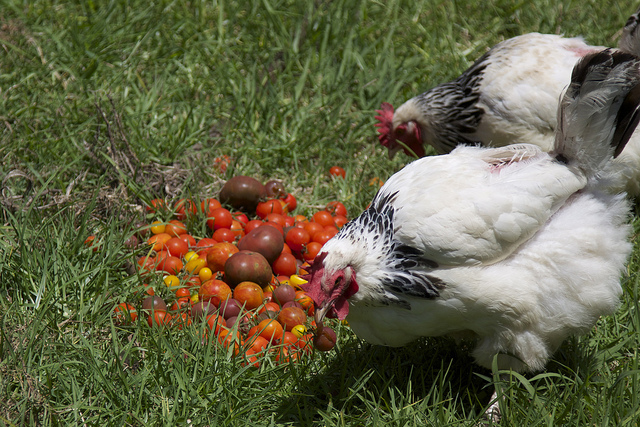 If your chickens are extremely active, they’ll be hungrier than more sedentary foul. From hatching to harvest, a broiler will consume approximately 12 lbs of feed. A layer will consume about ¼ lb of feed daily throughout her life. These are estimates, of course, and vary by bird. While figuring out your bird’s dietary needs and intake requirements, one could fill the feed dishes so that there is food available all day or use a multi-day feeder. What About Those Table Scraps? Chickens will eat practically anything that is in front of them, so one must be careful with what’s available to the flock. Garbage can easily be ingested and harm the bird. Chickens are great for eating table scraps, although there are some things you shouldn’t feed them. Don’t feed them apple seeds, egg shells, chocolate, processed foods, mushrooms, potato peels, garlic, raw meat, dried beans, avocado skins and pits, or onions. 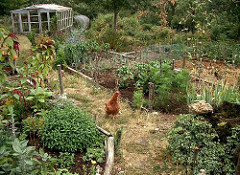 Don’t give your chickens food that has spoiled, either, because spoiled food produces toxins. Chickens love fruit and vegetable scraps, as well as bread, cooked meats, oatmeal, and grains like rice and wheat. Just like for humans, a well-balanced diet is important for optimal health. The better you feed your birds, the longer and healthier lives they will live.